LACEMENS' HABERDASHERS' AND HOSIERS' INSTITUTION. 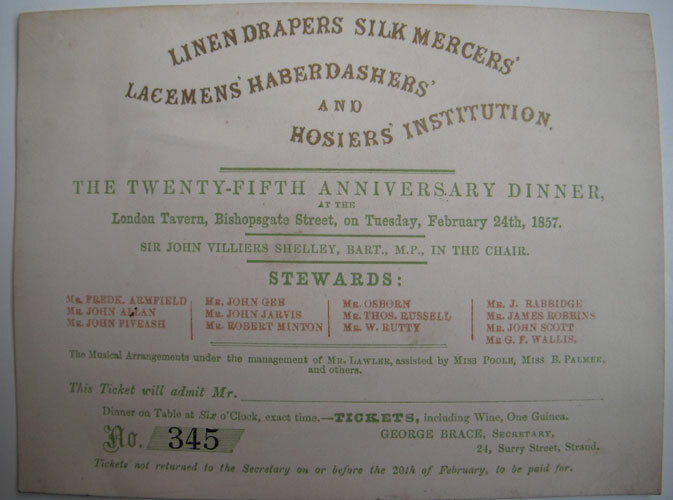 THE TWENTY-FIFTH ANNIVERSARY DINNER, AT THE London Tavern, Bishopsgate Street, on Tuesday, February 24th, 1857. SIR JOHN VILLIERS SHELLEY, BART., M.P., IN THE CHAIR. STEWARDS: Mr. FREDRK. ARMFIELD - Mr. JOHN ALLAN - Mr. JOHN FIVEASH - Mr. JOHN GEB - Mr. JOHN JARVIS - Mr. ROBERT MINTON - Mr. OSBORN - Mr. THOS. RUSSELL - Mr. W. RUTTY - Mr. J. RABBIDGE - Mr. JAMES ROBBINS - Mr. JOHN SCOTT - Mr. G.F. WALLIS. The Musical Arrangements under the management of Mr. Lawler, assisted by Miss Poole, Miss B. Palmer, and others. This Ticket will admit Mr. ------------ Dinner on Table at Six o'Clock, exact time. --TICKETS, including Wine, ONe Guinea. NO. 435. GEORGE BRACE, Secretary, 24, Surry Street, Strand. Tickets not returned to the secretary on or before the 20th of February, to be paid for. 115x150mm. Cream coloured card with black, red and green coloured text. Nice clean condition. - Bishopsgate Street was anciently divided into Bishopsgate Street Within (i.e. within the walls of London) and Bishopsgate Street Without, and derives its name after one of the original seven gates in London Wall. The foundation of the original gate is attributed to Erkenwald, elected Bishop of London in 675. Henry III granted the gate (which would have contained buildings above and beside it) to the Hanse merchants, who substantially rebuilt the gate in 1479: the gate was adorned with statues of past bishops of London. It was declared an obstruction to traffic in the eighteenth century and subsequently demolished. Bishopsgate Street Within contained three churches, St Martin Outreach, St Ethelburga, and St Helen, and the famous Crosby Hall as well as the London Tavern, used for many public meetings, banquets and dinners. Bishopsgate Street Without was wider and longer than Within, and during medieval times many pleasure gardens and bowling alleys ran off it. Throughout most of its history Bishopsgate Street has been one of the City's main commercial streets, and has housed many fine mansions of the nobility, of whom many were entertained by the plays performed at the Bull Inn, a famous playhouse of Elizabethan times. Afterward they would have dined at the nearby London Tavern, one of the best known and most prestigious city venues. See print #2 below for an image of a small salon inside the London Tavern. 205x156mm. 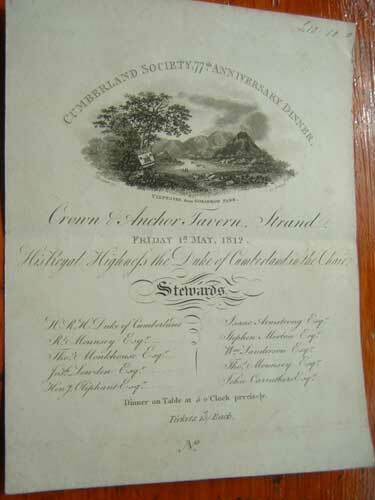 One light cardboard sheet beautifully inscribed with a lovely engraving of Ullswater by Silvester sc. Very lightly age browned but overall in very nice condition. 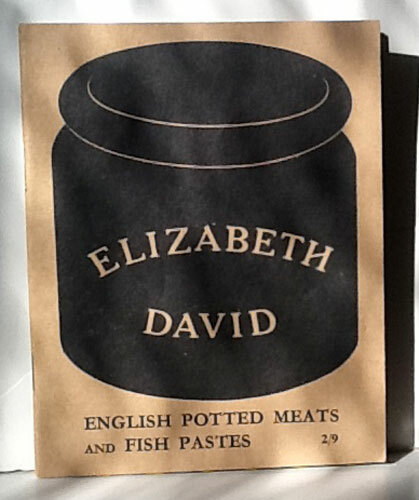 With a manuscript ink inscription price for £10.10.0 at the top right hand corner. Blank on the verso except for an ink inscription; W. Warrington. - The Crown and Anchor Tavern in the Strand was a well-known London landmark, as well as being a dining room of repute. The Tavern after it was rebuilt in 1790 had a large meeting/function room that could seat up to two thousand or more. 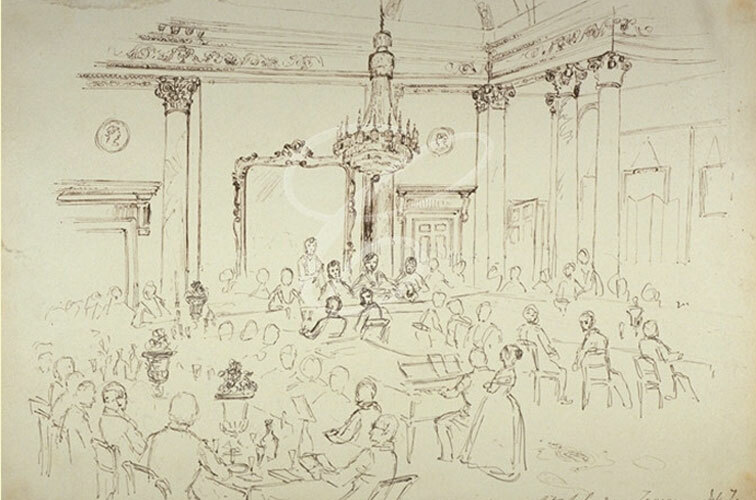 The famous cooks, F. Collingwood and J. Woolams (images 3&4 below), authors of the cookery book 'The Universal Cook' were serving their tenure there at the time of this Cumberland Society dinner. The Tavern had two entrances, one on the Strand and the other on Arundel St. It is referred to in Stow's 'Survey of London and Westminster' of 1720 as boasting associations with Johnson, Boswell and Reynolds. The meeting hall at the Tavern was long associated with radical politics. Sympathisers of the French Revolution gathered there in the 1790s to commemorate the storming of the Bastille. Used as well as headquarters for Francis Burdett and other ardent reformers. It is also recorded that in the year 1799 the Tavern was the No.1 Grand Master’s Lodge, in the correct list of all the Lodges in London of the most ancient and honourable fraternity of free and accepted Masons of England. 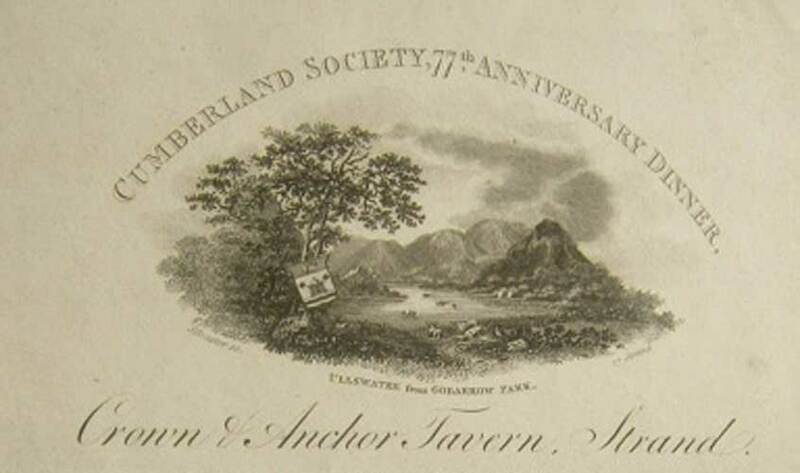 His Royal Highness the Duke of Cumberland who presided over this grand 77th Anniversary Dinner of the Cumberland Society was born on 5th June, 1771 and was by birth the 5th, but in survivorship the 2nd son of King George 111 and Queen Charlotte. 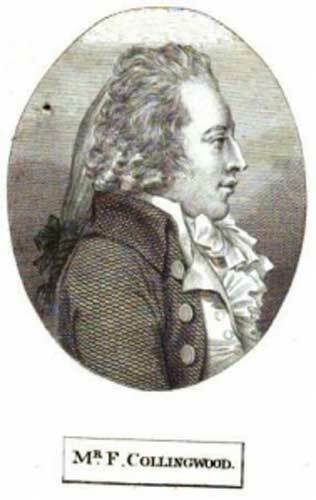 The Cumberland Society was formed by his Grandfather the Duke of Cumberland. (1721-65) In 1775 his son also the Duke of Cumberland & Strathearn founded the Cumberland Society Fleet for racing on the Thames. This was the precursor to the Royal Thames Yacht Club, formed in 1830 under the patronage King William IV. It is the oldest continually operating yacht club in the UK today. The present Duke whose dinner invitation is on view here, was carrying on the business of a venerable tradition that was the Cumberland Society. A rare ephemeral item that has lasted well. In a black frame with a wide white border. Frame size 24" x 20". Actual photograph size 16" x 10.5". Unfortunately signed illegibly in pencil by the photographer on the bottom left hand corner. With a very decorative greeting card tipped in to the back of the frame. 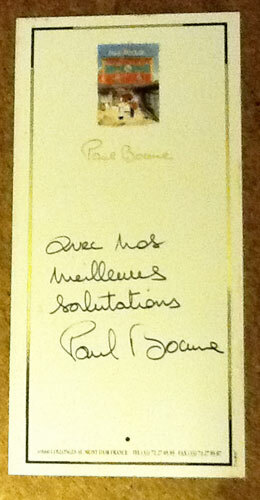 The card has a small coloured illustration of Bocuse's Restaurant at the top with a dedication written in felt tip; "Avec nos meilleurs salutations Paul Bocuse". 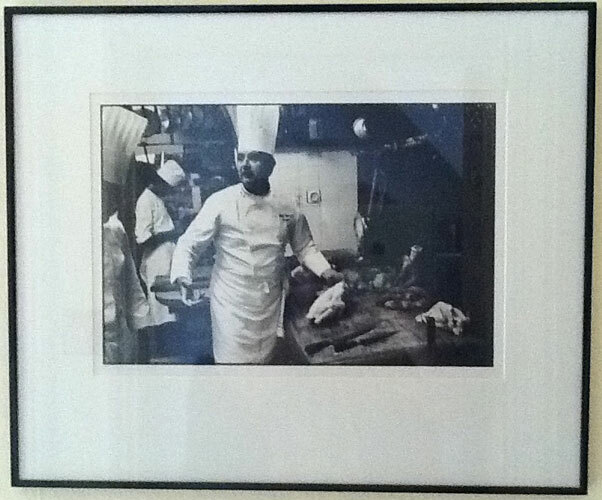 - An unusual item in that it shows the great chef, Paul Bocuse, in the kitchen of his restaurant “Auberge du Pont de Collonges” situated four kilometers north of Lyon on the banks of the Saône near the Pont de Collonges. He is standing at the butchers block about to carve up a raw chicken, but distracted for a moment by barking out some instructions. A chef will recognise this as a very typical vignette of a Chef/Patron in the middle of a busy service in a hot frantic kitchen during meal times. Most photographs of Bocuse usually show him standing but relaxed, dressed in crisp whites with arms folded, in an elegant restaurant dining room. 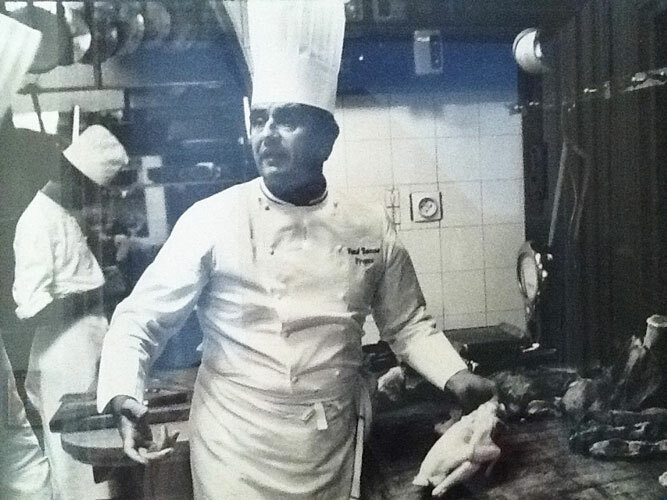 Bocuse was at the forefront of the much misunderstood and abused "Nouvelle Cuisine" movement of the early 1970's. 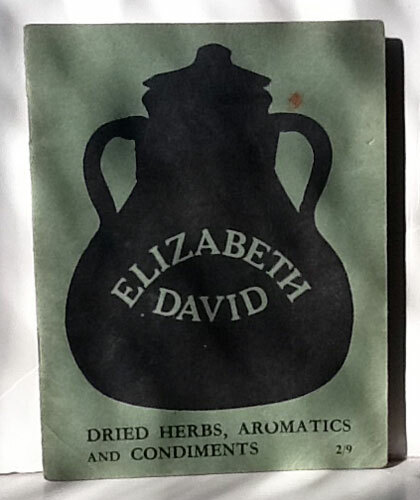 It had a huge impact on the methods of cooking and serving food in fine Restaurants. 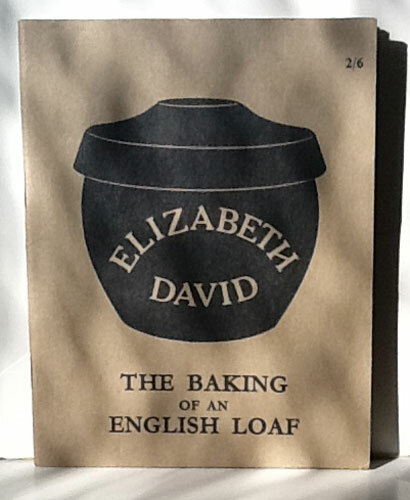 It very rightly endeavored to break away from the heavy, overly rich classical cooking that was a legacy of the war years and after and with the subsequent rationing that followed till the 1950's. Quite wrongly, Escoffier's name was used to brand the old style of cooking in reaction to the lightness and freshness demanded on the day. This was erroneous as anyone can see, should they read the preface of Escoffier's great cookery classic 'Le Guide Culinaire'. Therein, Escoffier demands fresh ingredients, reductions and light sauces compared the the heavily produced dishes of the classical Bel Epogue era before the wars. Bocuse and others of the Nouvelle Cuisine movement eventually changed cooking quite dramatically. Interestingly, Escoffier has now had a revival in appreciation, and is being once again understood for the great Master that he was. Ironically the term 'Nouvelle Cuisine' was also used to describe the new ways and dishes that Escoffier was writing about in 1903 after the publication of his first book. 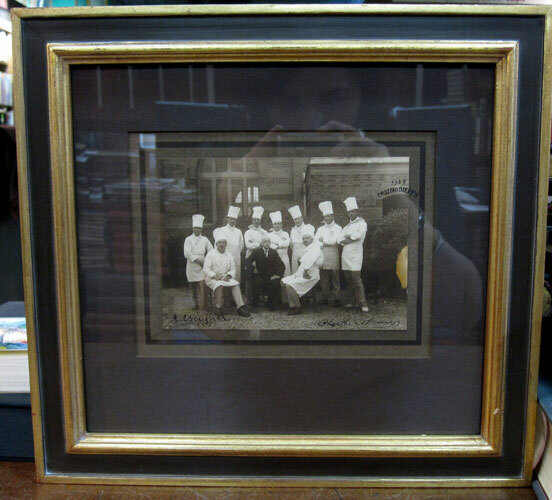 This photograph of Bocuse is a very scarce unique item especially with the Bocuse's signature . 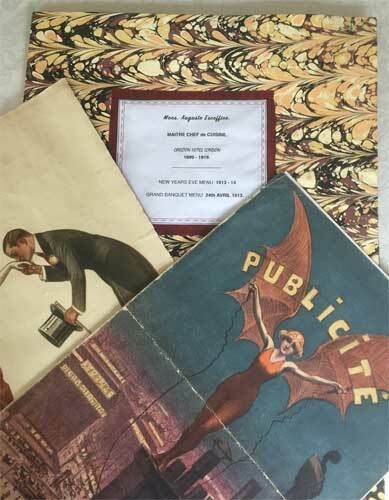 Two menus designed by Georges Redon, one with a large drawing titled "Hommages", and the other, a surreal painting entitled "Publicite". MENU 1. 413mm x 310mm. 4to. 4p. 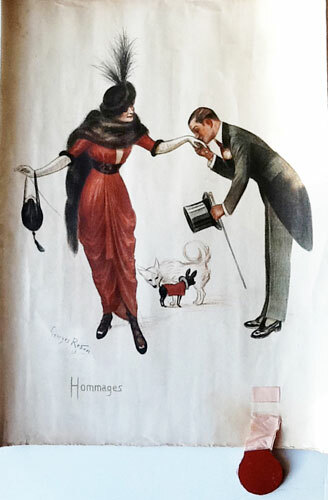 On the front is a lovely drawing of an Edwardian gentleman in tails and top hat kissing the hand of an equally elegant lady. Amusingly there are two dogs in the middle politely sniffing each other. Signed by the artist Georges Redon. At the bottom is a pink ribbon with a cardboard seal. 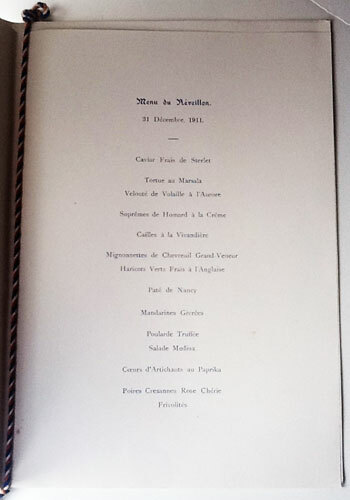 On page three surrounded by an delicately etched Art Nouveau border is a New Years Eve menu (Reveillon) for 1913-14. 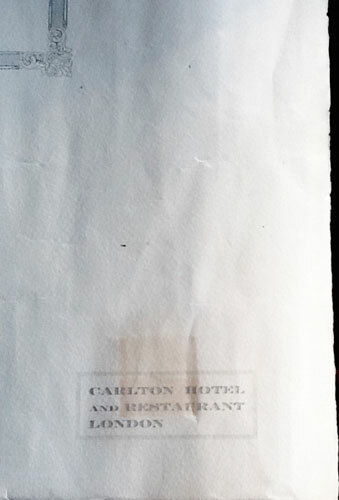 On the bottom right hand corner is a little box with the words Carlton Hotel and Restaurant London. 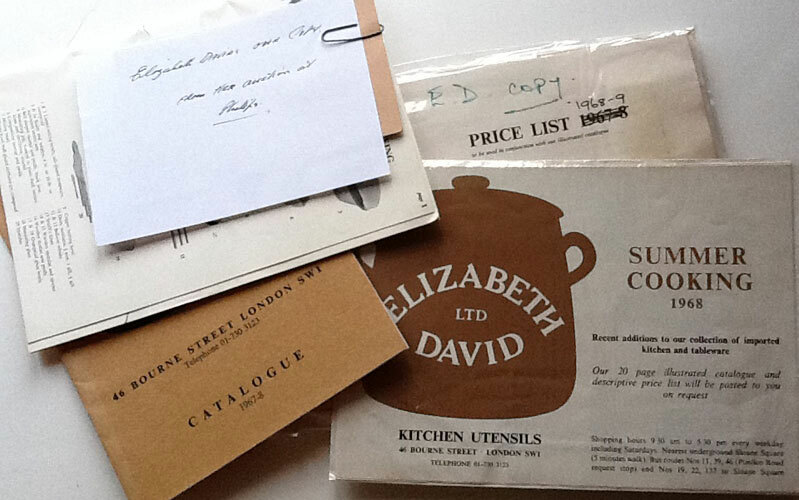 Large menu with the paper slightly age browned. MENU 2. 390 x 252mm. Dated 24th Avril 1913. This is an original 2 page folded cardboard menu titled "Publicite" for an Annual Grand Banquet at the Carlton Hotel with the front illustrated by Georges Redon. 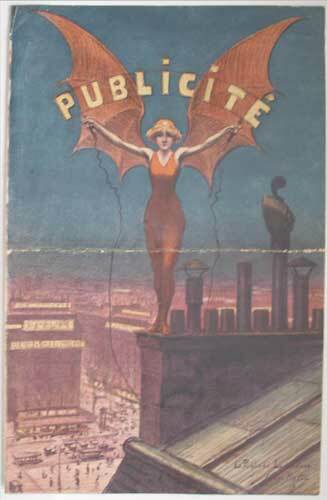 On the bottom right hand is printed : La Publicite Lumineuse, with Georges Redon signature dated '13'. It has been folded for storage, with a crease across the middle. An interesting and unusual menu. 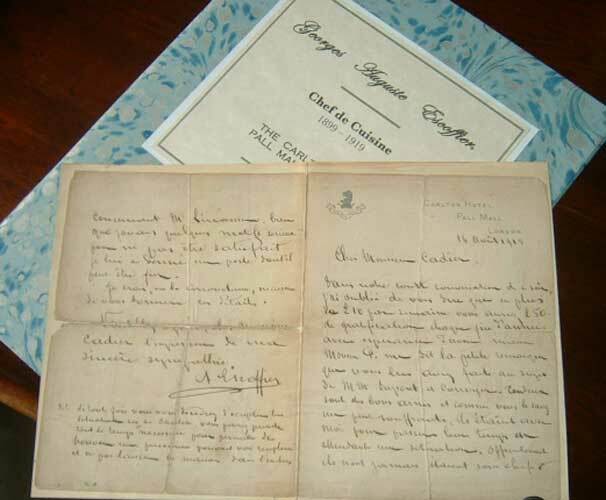 Overall two nice and very scarce items of Escoffier ephemera, housed in a cardboard folder covered in marbled paper with a red paper label. - The First World War began on 28 July 1914 and lasted until 11 November 1918. More than 9 million combatants and 7 million civilians died as a result of the slaughter. 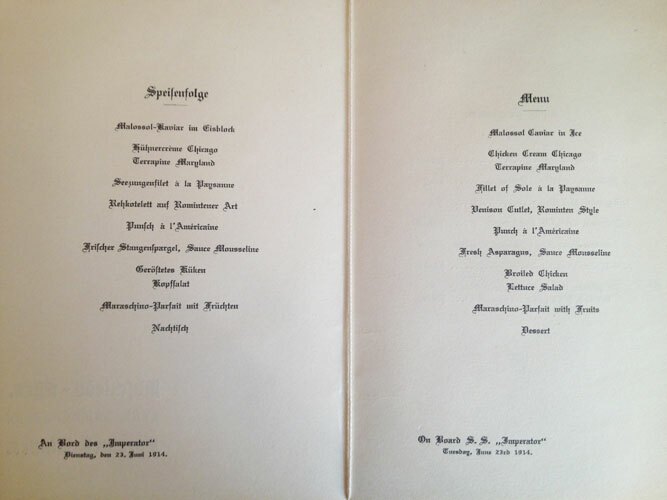 This 1st MENU of 1913/14 was the last New Year's Eve when many friends seated at the same tables, and partaking of this special dinner of nine courses, would conceivably, never see each other again. With hindsight, the poignancy of this night of celebration, is one of the reasons that makes this Escoffier menu stand out. The 2nd MENU is an unusual Escoffier banquet menu of nine courses also designed and painted by Redon, and depicting a very surreal image of a winged woman on top of very high building about to take off on an adventure of mystery. 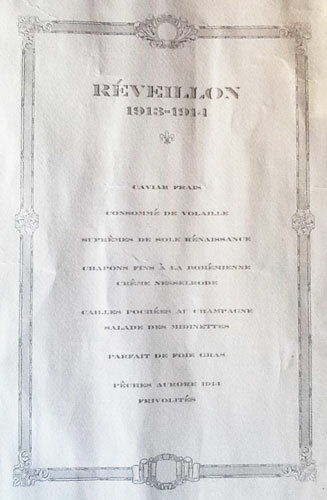 Above the menu is a little explanation, informing that the occasion is publicity for a Chambre Syndicale. Each corporation or trade has it’s own Chambre syndicale, similar to trade unions taking care of the interests and members of their related associations. 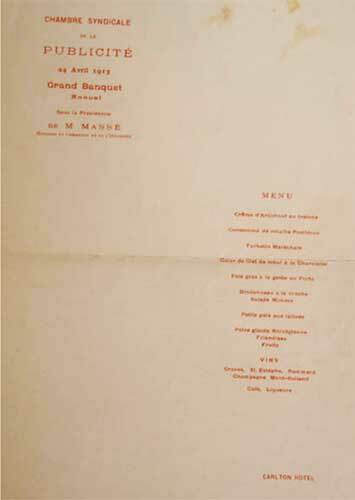 This Grand Annual Banquet was under the Chairmanship of Mons.Alfred Masse who was Minister of Trade, Industry, Posts and Telegraphs from March 22 to December 9, 1913 in the Government of Louis Barthou. Georges Redon (1869 – 1943) was a painter and lithographer. In the 1920s, he created and became famous for a series of charming images depicting little boys urinating. Because of today's concerns about paedophilia such images are no longer widely distributed, subsequently, it isn't easy to find any of Redon's famous "Pipi" works anymore. Many times Redon’s other pictures and artwork also conveyed a lot of humour, as is apparent in the first menu. He also created artwork for many food labels including biscuits and Chocolat Escoffier. Perhaps unsurprisingly, these two Carlton Hotel commissions hint at a strong professional collaboration between the two men. These very elegant, large menus from Escoffier's time at the Carlton (1899 - 1919), are fine collectors items. Definitely a cut above the norm, as the Artist and the Chef are both already famous, each within their own chosen fields of expertise. Carlton Hotel and Restaurant, London. New Years Eve. 286mm x 224mm. With a Great British Empire themed coloured picture on the front. It shows two men, one is a John Bull figure, the other, a Scotsman in a kilt, as well as two ladies representing Ireland and Wales. The dates on two boats prows showing 1911 and 1912. At the top, six little vignettes of famous scenes from countries under the crown. Cardboard cover with four pages. An impressive menu with fourteen items inside. Tied together with multi-coloured cord. A little foxing on the front but not affecting the overall image. 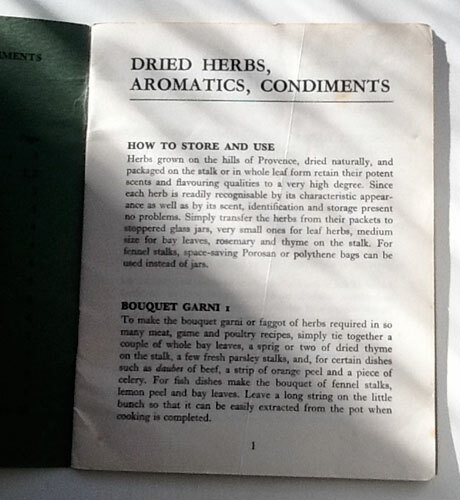 A nice item of Escoffier ephemera in good quality paper(for the time). 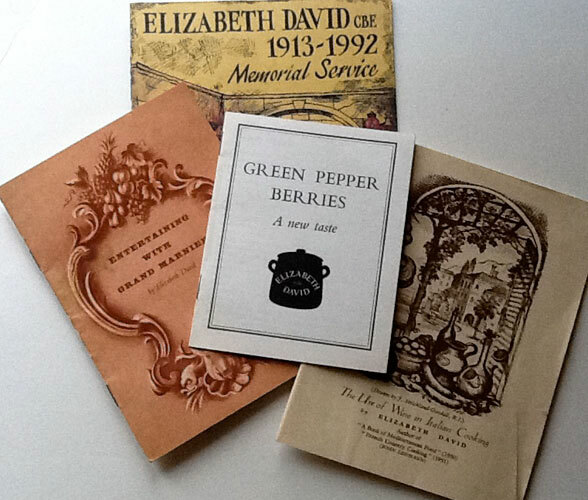 - Considering this menu is 100 years old it has fared well. 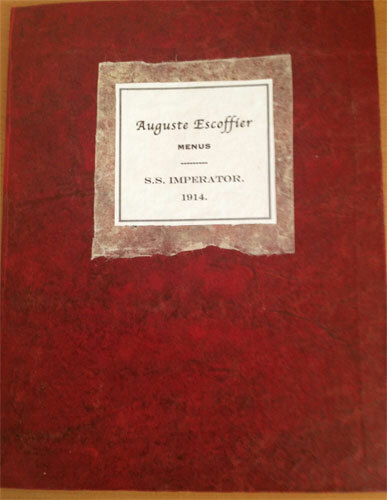 Looking thro' Escoffier's 'L'Aide-Memoire Culinaire' of 1910 one can see his dishes on offer for that New Year. 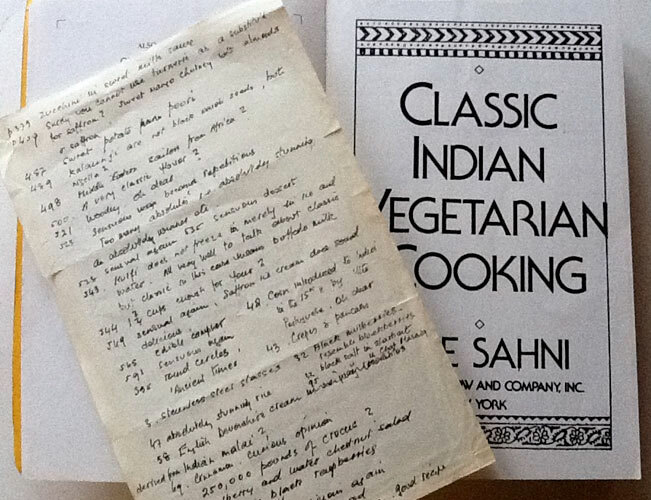 His menus from his time at the Carlton Hotel from 1899 - 1919 are very scarce, but when found they give a sense of place and gastronomic history other chef's menus lack. 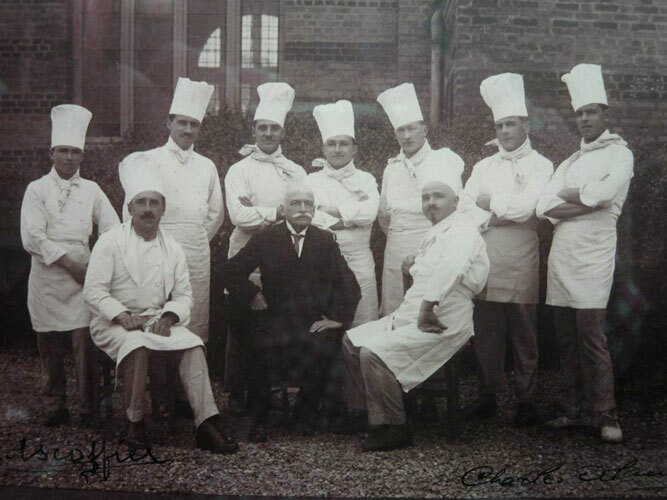 A group of nine chefs with George Auguste Escoffier, one of whom is also Escoffier's famed pupil - Charles Scotto. Vintage sepia mounted photograph framed beautifully in a dark brown matte cardboard border and enclosed in a brown and gold frame, measuring 12”x13”. The photograph itself measures 6 ½” x 4 ½”. - This is a very rare signed photograph. It is a group shot of chefs outside the legendary ‘Casino Dieppe’ France, circa - 1927. The uniqueness comes about by the inclusion within the group of the famous Chef, Auguste Escoffier seated in a dark suit, and also his famous friend (especially in America) and pupil, Charles Scotto -- seated to Escoffier’s left. The signatures of Escoffier and Scotto are respectively on the bottom left and right of the picture. 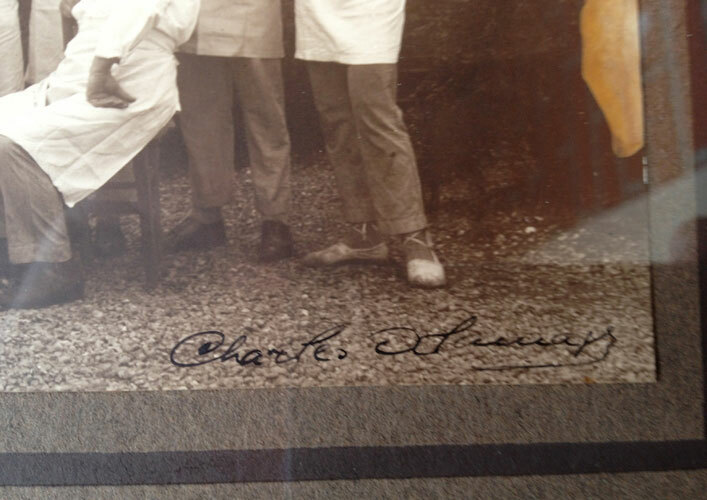 Charles Scotto was born 1887 in Monte Calro and in his youth became a close friend of Escoffier. At the turn of the century Scotto had been a commis chef in the brigade at the Savoy Hotel London where Escoffier was Maitre Chef de Cuisine. Scotto helped Escoffier all thro’ his professional life with planning and opening many new kitchens and restaurants such as the new Carlton Hotel in London’s Pall Mall and the extremely popular, new and innovative al'a Carte 'Ritz restaurants' on board the Hamburg-Amerika line, especially in the kitchens of S.S.Imperator where he was Escoffier's partner in this undertaking. 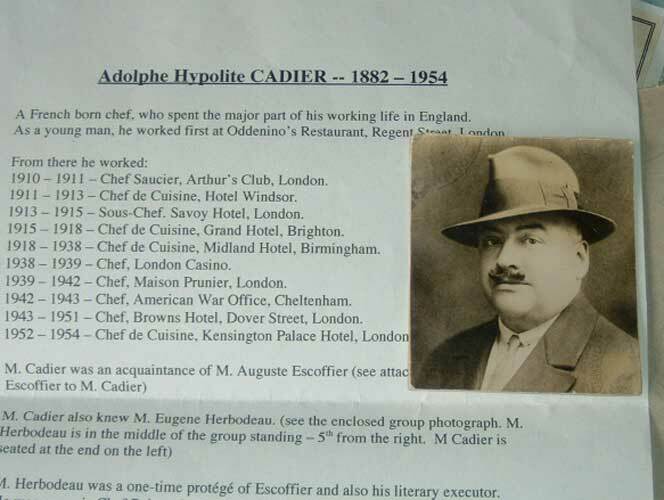 He represented and helped Escoffier in the setting up and the opening of many of his other ventures over the years, including the famous 'Casino Dieppe. In 1928, at the Sorbonne in Paris, The World Chefs' Association was formed and it is still in existence today. Scotto was the first president. He also opened other hotels including the famous Pierre Hotel in New York. For the opening Scotto invited Auguste Escoffier (described by Andre L. Simon in his obituary to Escoffier in the 'Wine & Food Society' Magazine as his last official act). In 1935 Escoffier passed away in Monte Carlo. In America ‘Les Amis d' Escoffier’ held their first memorial dinner at the Jensen Suite of the Waldorf with 53 friends of the famous chef attending a memorable feast. In 1936, approximately a year after the death of Georges Auguste Escoffier, members of the American Culinary Federation [ACF] in New York City invited hoteliers and leading citizens to join with the chefs to preserve the culinary traditions of the master. 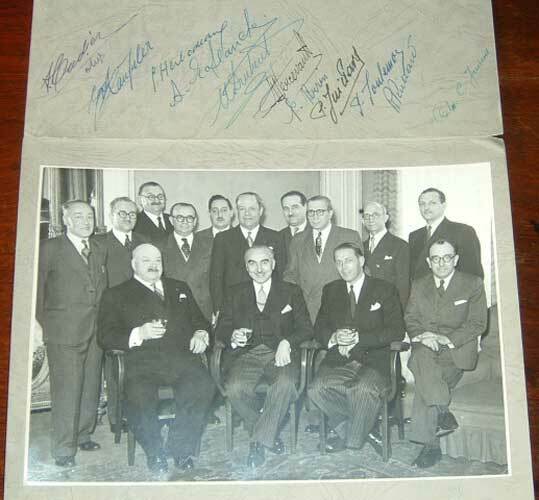 The then - ACF President Charles Scotto, well known as Escoffier's "beloved apprentice," and General Secretary Joseph Donon, hosted the premiere meeting of their new society for gourmets in the Waldorf-Astoria Hotel on March 30, 1936. Rules were established that forbade drunkenness. Only wine or aperitifs were served. Les Amis prohibited smoking at table, claiming that anyone who smoked between courses did not deserve the title of gourmet. Speech making was not allowed either. Ultimately, dining rules required silence during dinner so guests could focus on the dish at hand without distraction. Charles Scotto passed away in 1937 aged only 51, following kidney surgery. More than 1,000 of his admirers and colleagues attended the funeral. A solemn high mass was celebrated at the Church of Our Lady of Refuge, on Ocean and Foster Avenues in Brooklyn, His widow traveled with his remains to Monte Carlo where he was buried. 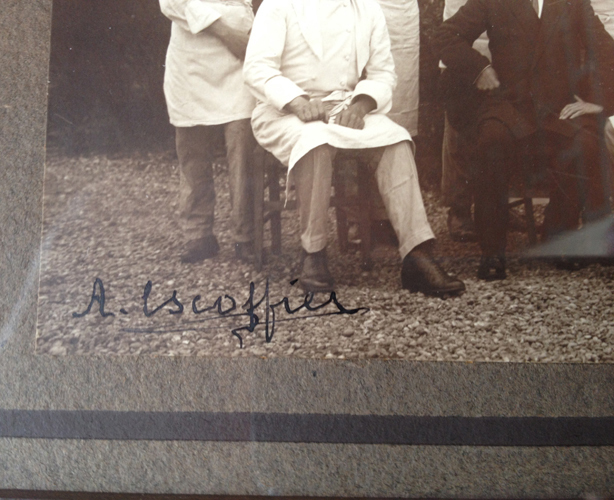 While photographs of Escoffier are quite common, those of Scotto are scarce and signed images of both chefs together are rare in the extreme. 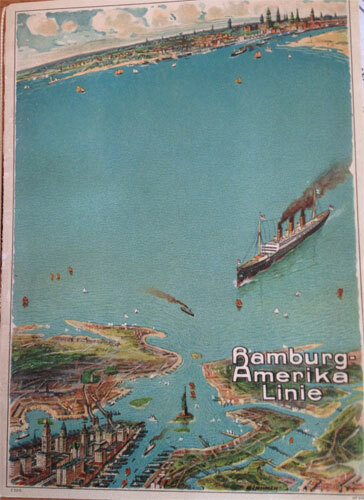 From the Hamburg Amerika liner S.S. Imperator. June 23rd 1914. 180x158 mm. 4 pages. 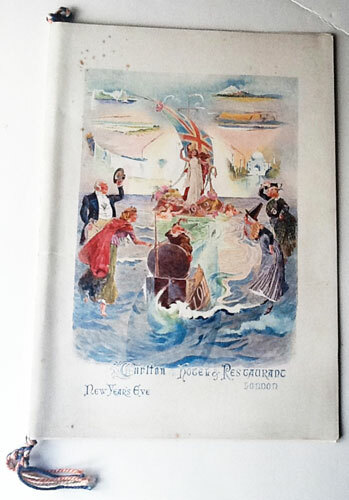 The front cover of the menu is an unusual birds-eye view of New York Harbour with S.S. Imperator steaming towards the Statue of Liberty and skyline of N.Y. in a circle. Beautifully observed and painted. 1st page, A farwell Dinner. Nice big menu written in English and German with eleven courses of French and American dishes. 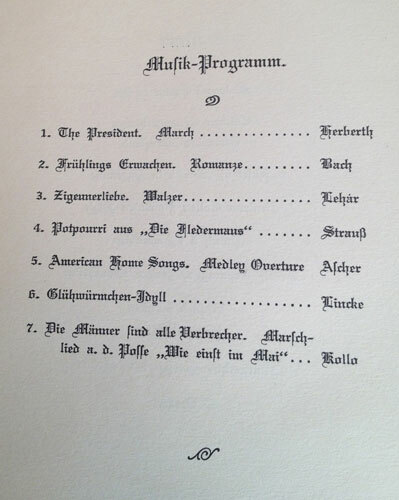 On the verso of the 3rd page, a music programme. Overall in very good condition and housed in a handsome cardboard folder covered in crimson marbled paper with a label on the front cover. 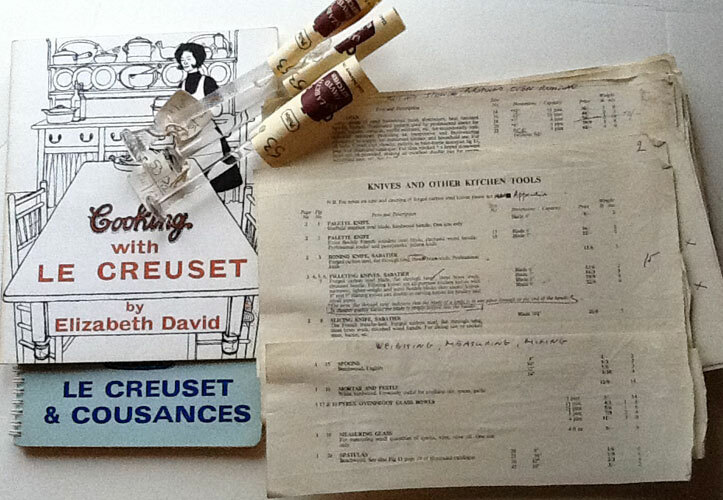 A rare item of Escoffier and Charles Scotto ephemera. - In 1912 the Hamburg Amerika line again requested Escoffier’s services for the planning and inauguration of the kitchens on the brand new 53,000 ton liner, S.S. Imperator. Escoffier had previously planned and opened in 1905, the kitchens and dining rooms of the liners S.S. Amerika and S.S. Kaiserin Auguste Victoria. The new restaurants had been a stunning success. This a'la carte restaurant service on board all of those liners was called the “The Ritz Carlton Restaurants”. 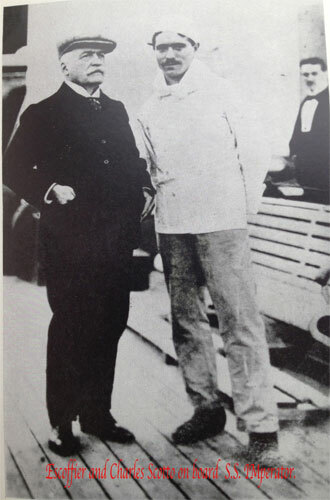 On the Imperator, Escoffier brought his famous pupil, Charles Scotto to be the Head Chef. The official trial cruise was to have an illustrious passenger; Emperor William. On the 8th July 1912, the Emperor boarded and they weighed anchor immediately and set sail towards Heligoland. On the last day of the Emperor’s stay on board He had a conversation with Escoffier. He thanked him for taking responsibility for the cuisine and how delighted He had been at the level of comfort He had experienced on board. 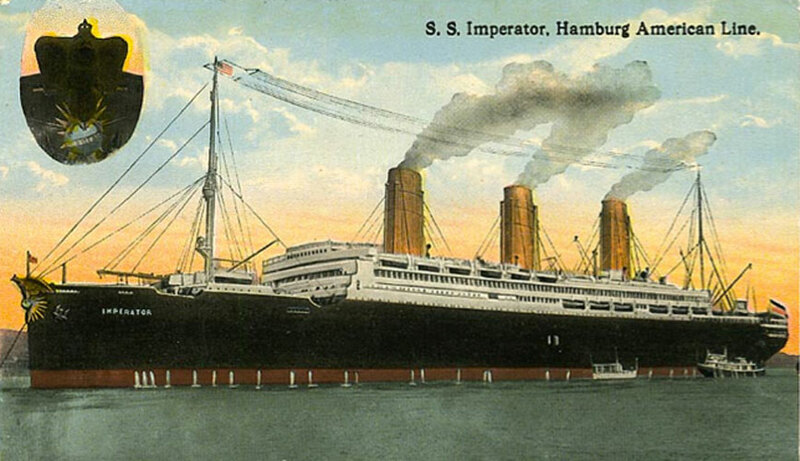 In August 1914, as World War I began, the S.S. Imperator was laid up at Hamburg and remained inactive for more than four years until 1918. This menu is a ‘Farewell Dinner’ dated June 23rd 1914. It is not inconceivable that it is a part of the overall farewells of many people associated with this great ship. It is also rare to be able to tie down a Charles Scotto menu. 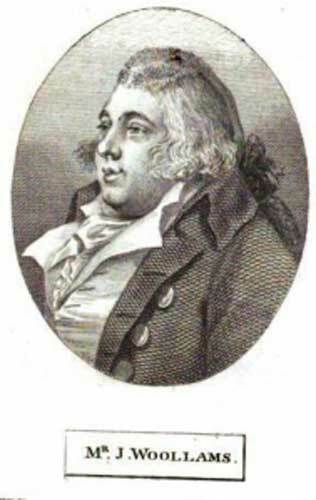 He was to become one of the leading Chefs of the early American Culinary associations and schools. Becoming as famous there as his Master. 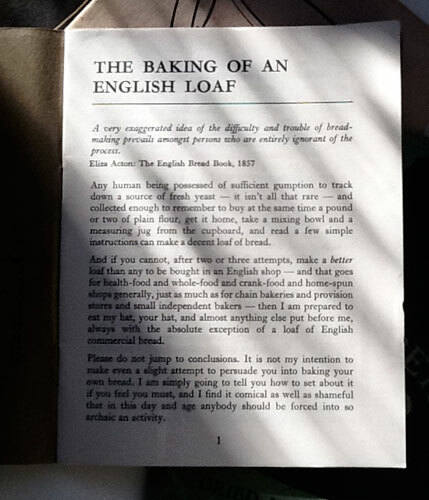 Ref: Herbodeau and Thalman’s fine autobiography of Escoffier’s life.